Target audience: Nonprofits, cause organizations, foundations, NGOs, social enterprises, businesses, educators, Pinterest users. Back in January, I wrote a post about Pinterest as a curation tool to organize and share visual content I’ve collected in a visually pleasing visual way. As the platform has evolved over the past few months, I’ve been facilitating a few introductory workshops and briefings about Pinterest for nonprofits with a goal of explaining it, what it does, benefits, and examples of how nonprofits and others are using it. Repinly analyzes Pinterest users and content. Checking out top pinners is a good way to learn best practices. Chris Sietsama has a great piece, Abandonment Issues: What To Do With Content Archipelagos, in which he asks you to take a bird’s eye view of your content and figure out if there is a content area that is “standing alone” and not integrated into your overall strategy. If you’re just starting to think about adding Pinterest to your content strategy or if you jumped in before you had a strategy, you can do this type of questioning on the front end, perhaps coming up with a small experiment that supports an overall goal and a measurement strategy. You might also want to spend some time doing a little research and browse some of the Pinterest stat sites. This will help you get a sense of the users and whether or not Pinterest is a good fit for your content. 1Repinly is a site that analyzes Pinterest users and content. You can discover the most popular categories for pins and boards, how users spend their time, and most followed users. Checking out top pinners is a good way to learn best practices. 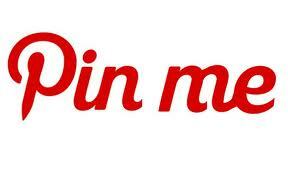 PinMe: Have you been pinned by others? 2You will also want to take a look at what and how other nonprofits are using Pinterest. There are several Pinterest boards that showcase nonprofit users like these: Nonprofit Organizations, Nonprofit Pinterest Ideas, and Nonprofits on Pinterest. For more ideas, see this list of 50 nonprofits on Pinterest. It also might be worth doing a little research on PinMe and see if any your existing content has already been pinned by other users. I was surprised to find so much of my blog content pinned by others.